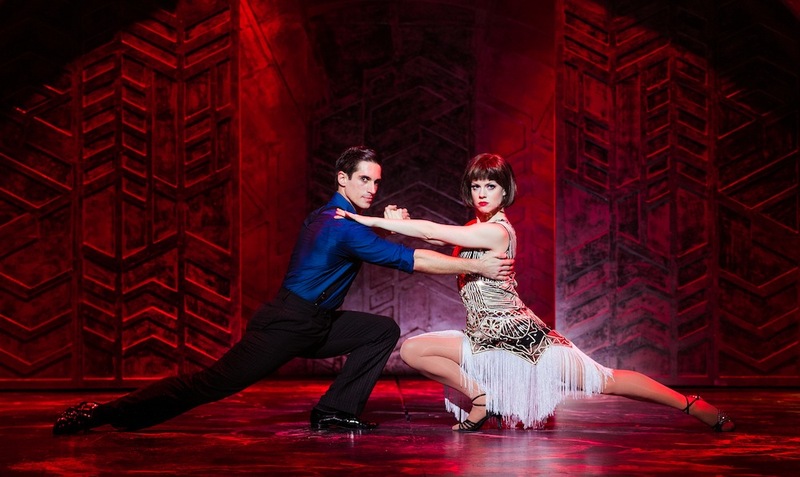 Who would have thought Strictly Come Dancing‘s Joanne Clifton could sing and act as well as she could dance? On stage for practically the entire performance, the former world ballroom and Latin champ really does steal the show as wide-eyed Kansas gal Millie Dillmount freshly arrived in 1920s New York, with her heart set on finding a rich husband. 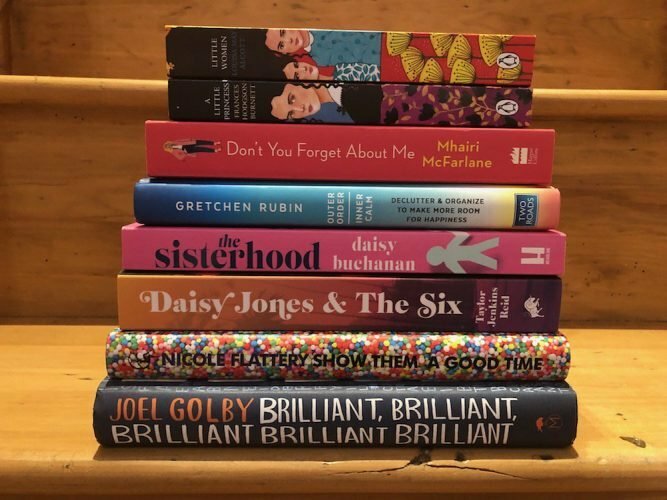 Set in a time when bright young things were bobbing their hair and raising their hemlines, Millie quickly has a super fast makeover to become Thoroughly Modern. The show runs at breakneck speed as she sets her sights on her rich boss Trevor Graydon (Graham McDuff), falls for ‘penniless’ paper clip salesman Jimmy Smith (Sam Barrett) and moves into the sleazy Hotel Priscilla where the mysterious Mrs Meers runs a trafficking racket sending orphans to a life of prostitution in Hong Kong. Yes, you read that right: this lighthearted musical’s got a white slave trade sub plot. Mrs Meers is actually a man – played by Lucas Rush – dressed up as a highly caricatured Chinese woman (‘flied lice’ etc), which is a bit of a jarring note in an otherwise fun evening. The award-winning musical (6 Tony Awards) is based on the 1967 film starring Julie Andrews so there are songs from the film plus some new numbers, including some clever pastiches of Gilbert & Sullivan, Gershwin, etc. 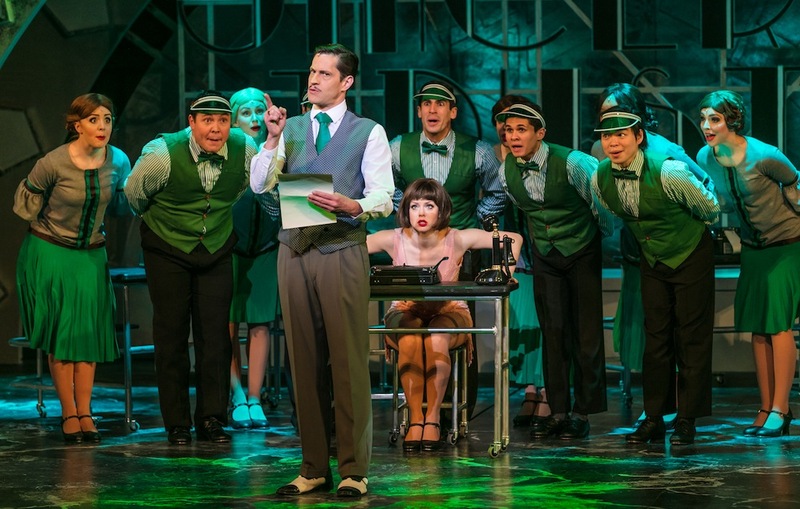 Joanne Clifton is standout as a singer but so too are Sam Barrett – his voice is particularly sweet when he hits those high notes – and Jenny Fitzpatrick as night club hostess Muzzy von Hossmere. 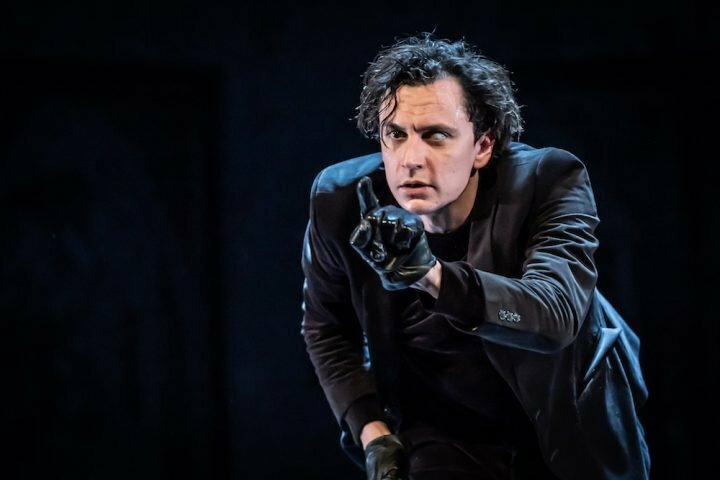 It’s a fast-paced show with some hilarious moments, especially a drunken Graham McDuff in Act II. 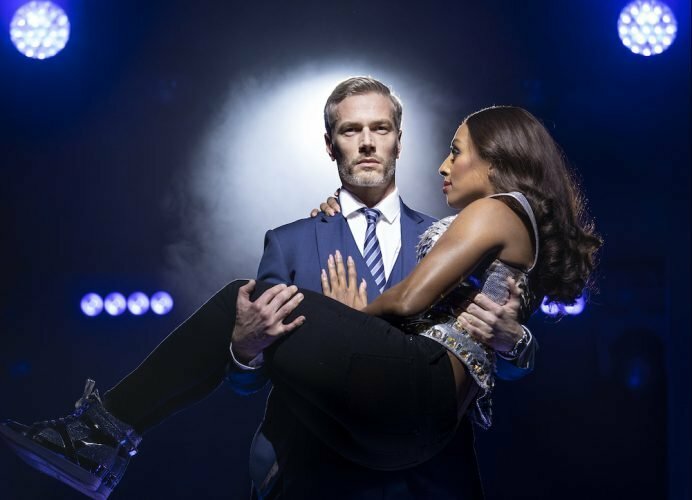 There’s some clever choreography and the dancing is fantastic – well it would be, wouldn’t it, with a world champion hoofer treading the boards? 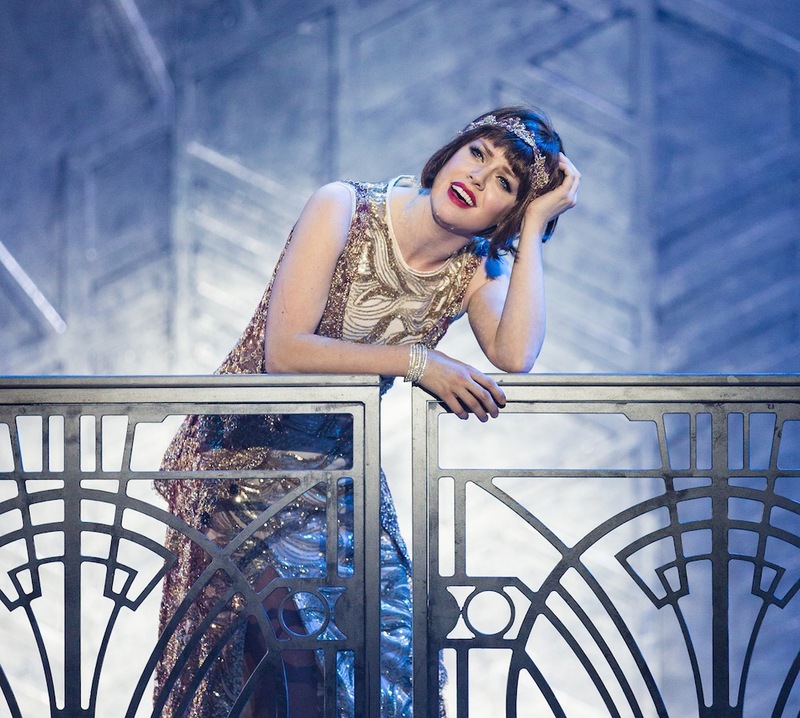 Loved the Art Deco set and the costumes are as sparkly as anything out of Strictly. The curtain came down on the cast all doing their own thing with Graham McDuff giving Joanne Clifton a run for her money in a superfast jive ‘kick off’ – an exhilarating ending to an entertaining evening full of old-fashioned fun and laughter. 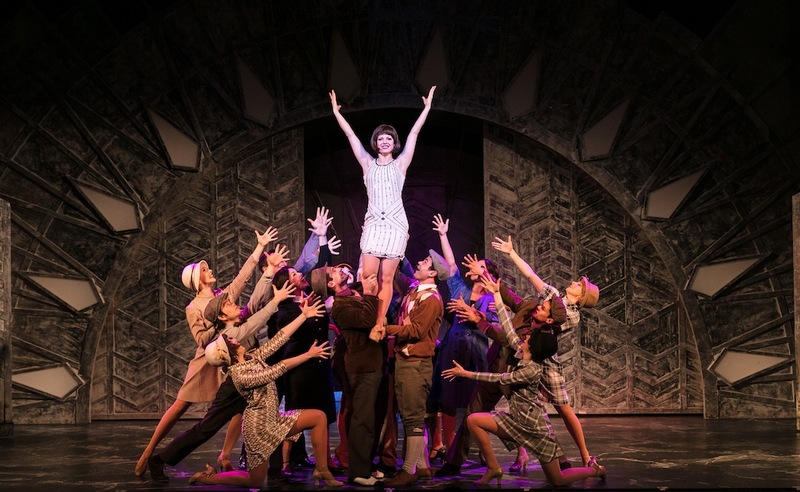 Thoroughly Modern Millie is on at the Bristol Hippodrome until Sat 24 June. Tickets.